At Xventure Curaçao we offer professional and guided outdoor recreational activities that can be enjoyed by children and adults. Our trips are mostly physical, but they are also mentally, emotionally and spiritually rewarding. Our mission is to inspire the local community and everyone visiting Curaçao to get outside and (re-)discover our island in a sustainable manner, while providing every individual with an exciting experience that they will cherish for life. 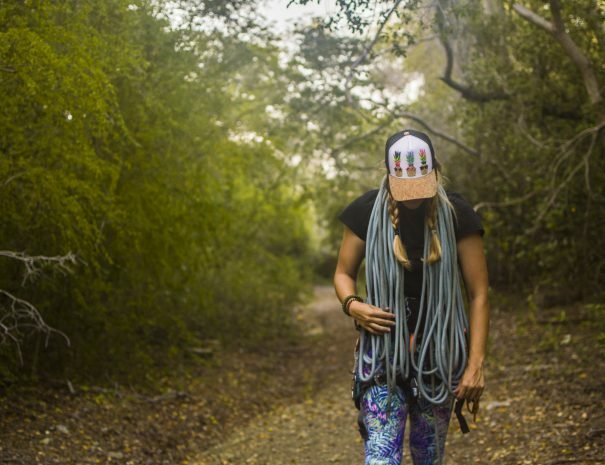 The founders of Xventure Curaçao are very passionate about the outdoors. They cherish memorable outdoor experiences more than anything. Two of the three founders, Bernice Falconi and Terence Ching both have over a decade of experience in the outdoor recreational industry. As avid outdoorsmen and local rangers, they know the land, the sea and every nook and cranny where fun and adventure are to be found. Bernice and Terence are very passionate about showing locals and travelers around, discovering new places, conservation of our natural habitats, all through their adventurous eyes, for the ultimate experience. Because of our strong commitment to education, conservation but mostly fun and excitement when it comes to our trips, we have handpicked our guides. We think it is important that everyone who joins our team shares the same passion and dedication as our Founders. Our guides go through an extensive training and preparation before they can go in the field. In addition, in order to provide you with a safe trip, all our guides must have a First Aid certification (EHBO). 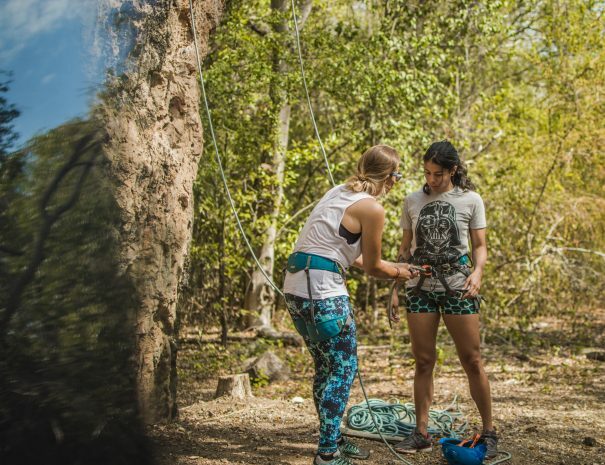 Our climbing and rappelling guides are also certified by the Rock Climbing Curaçao Association (RCC), this certification is accepted by the International Federation of Sport Climbing (IFSC). Want to join the team? Please feel free to contact us, if you are interested in becoming one of our guides. 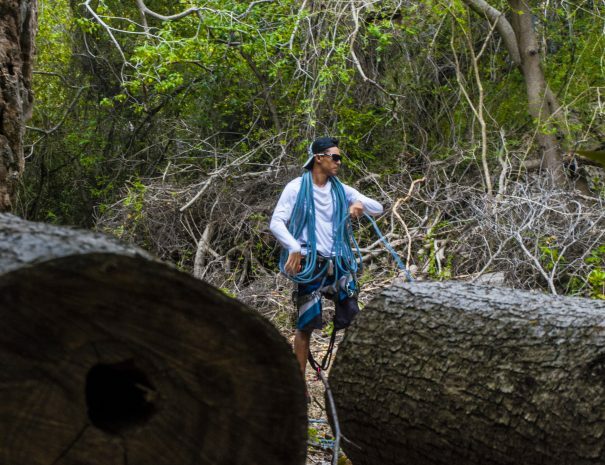 We strongly believe in preserving the island’s nature and natural environments. All our Xventure trips and tours are offered in an environmentally sustained manner. In addition, we’re also working closely with Stichting Uniek Curaçao, a local organization that manages and maintains over 32 nature/recreational areas on the island. 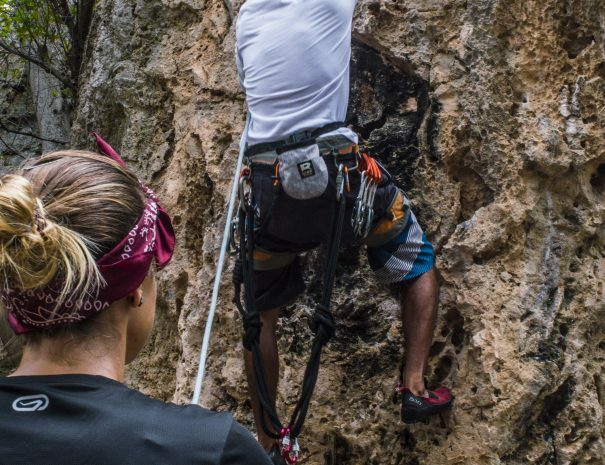 We are also working with and supporting the Rock Climbing Curaçao Association (RCC) that manages and maintains the climbing routes. As part of our commitment to help preserve the island’s natural environments, we’ve included various educational components in all our trips and tours.